The nights are drawing in, the mornings are full of mist. It’s definitely Autumn! So that definitely means pie in my book! 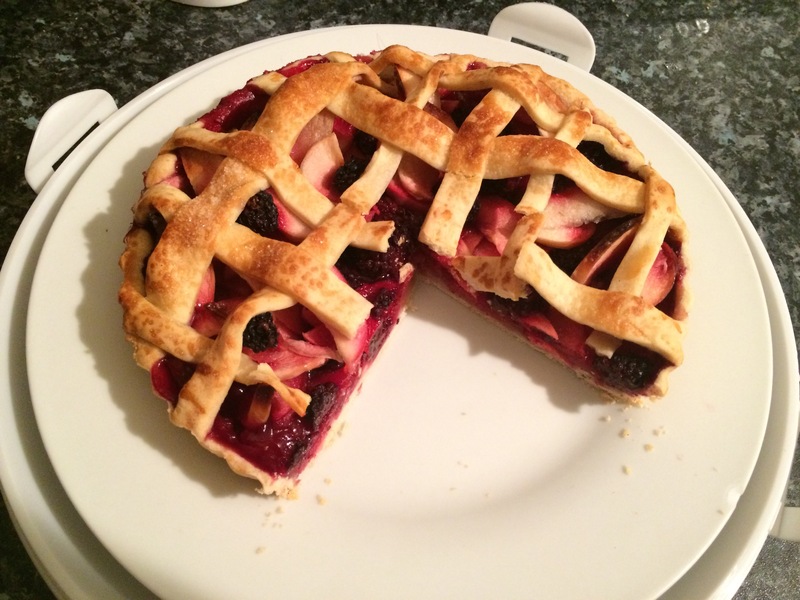 This Blackberry and Apple Lattice Pie uses the copious quantities of British Apples and wild blackberries available to us at this time of year. 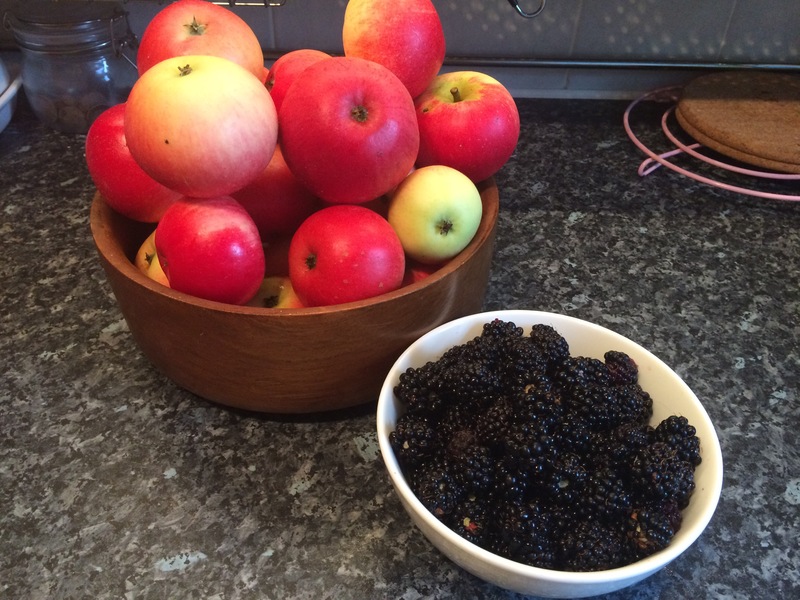 I am lucky in that I have an apple tree in my garden and a fantastic blackberry patch at the end of my road so there’s nothing to stop me whipping up one of these as the mood strikes! The Lattice is a more fiddly option but firstly, it looks fantastic and secondly it allows the steam to escape more easily from the pie thus minimising the risk of a “soggy bottom”! You can be very precise with the Lattice but I prefer a more rustic, cottagey pie. I just throw it together and am happy to enjoy the fruits of my labours without needing it to look like haute cuisine! Heat the oven to gas mark 5 with a flat baking sheet on the middle shelf and prepare a 20cm loose bottomed tart tin. Mix the apples, cornflour and sugar together in a mixing bowl. Roll out 2/3 of the pastry to a thickness of a £1 coin (~3mm) and large enough to completely cover the tin with a few cm extra (keep the remaining 1/3 to the side for a minute). Gently pick up the pastry using the rolling pin and drape it into the tin. Gently press the pastry into the edges of the tin making sure not to leave any air bubbles underneath. 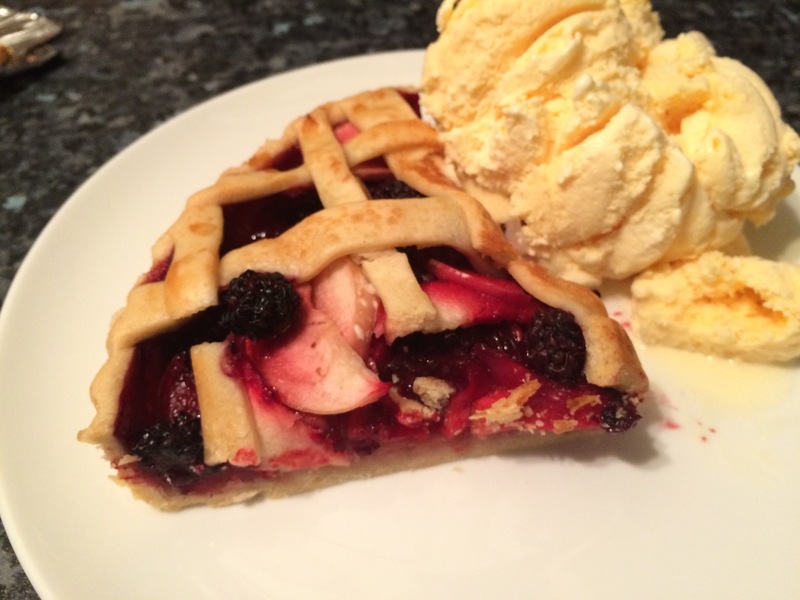 Tip the apples and blackberry mixture into the pie. Form a lattice on top of the pie, leaving the strips hanging over the edge. 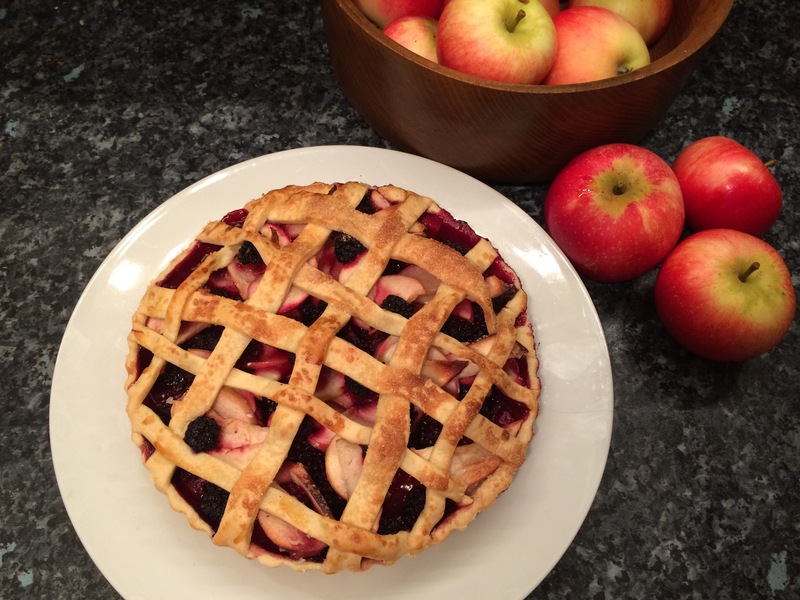 There are a few ways to do this: You can assemble the lattice on a piece of baking paper and then slide it on top of the pie or you can place the vertical strips on first and weave the horizontal strips over it one at a time. Trim away the excess pastry from around the edge of the pie, erring more towards leaving a little extra overhand rather than cutting too neatly as it will shrink slightly. Brush the egg over the top of the pastry and sprinkle with sugar. Bake for 30-45 minutes on the preheated baking sheet until the pastry is golden brown and crisp on top. You want to cook this for as long as possible but remove it from the oven before the top starts to catch. Golden brown is good, blackened is bad! THe filling should be bubbly and quite liquid but it will set as it cools. 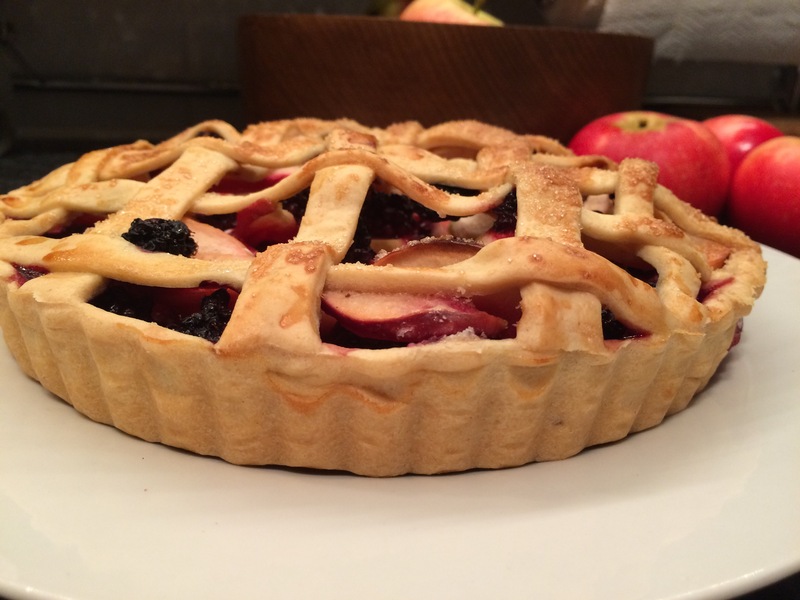 Allow the pie to cool for a 20 minutes (don’t be hasty, you’ll burn your tongue!) and then serve with cold cream or ice cream!